Sometimes I have a little fun with mirrors while I am shooting. You may have noticed. 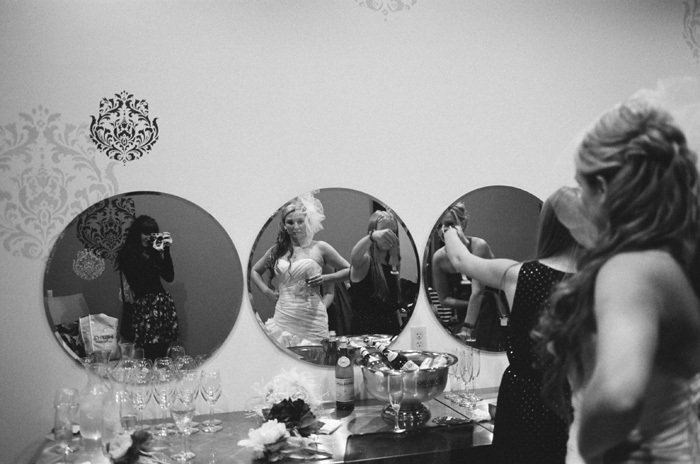 The triple circles in the Planterra Conservatory bridal party preparation room were particularly interesting.